Anybody who knows me would never misinterpret the message of the photo my wife took in Miami that seems to have caused unexpected rage by some people. I do not court controversy. But I realize that a photo that was meant to be complimentary and lighthearted has turned into a questionable issue. For the record, It hurts me deeply that anyone would think that I would disrespect women or be insulting to any human being. I was not brought up that way and it is not in my character. I regret that there are people out there who found the photo offensive. That was not and is not my intention. Women are to be celebrated, loved, respected, honored and revered. I’ve spent my life believing that and will continue to do so. 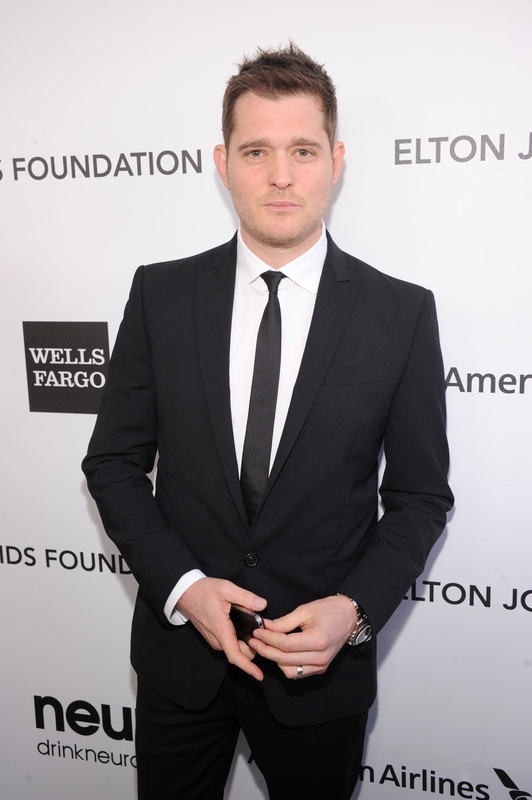 Finally, not once does Bublé apologize to or address the woman in the photo directly. Wouldn't you think that he'd say sorry to the woman (whether she feels disrespected or not) in the photo? If she was hoping to receive an apology, well, it looks likes she's going to have keep hoping. Now, do I think Bublé shared the image with the intent of insulting women, and the woman in the photo? No, I don't. I believe he thought he was having a good laugh and never intended to offend anyone along the way. However, that doesn't mean I think he should have shared the photo, because, if I were the woman in the photo, I'd feel violated and disrespected. Next time, he should definitely think before he acts.